You would have surely heard of the Winter Palace, but did you know there are over 50 imperial mansions in and around Saint Petersburg, rightly called Russia’s city of palaces. We have chosen seven different landmarks in the former imperial capital where you can discover the strange habits and luxurious life of former Russian nobility. The Menshikov Palace was one of the earliest stone buildings in St. Petersburg, built between 1710 and 1727. Alexander Menshikov was Peter the Great’s best friend, a prominent statesman and the first Governor-General of St. Petersburg. Young Peter first met him when the 16-year old Menshikov was selling pies on Moscow’s streets, and later took him on as his (Peter’s) personal military servant. Olga Kalashnikova, a script-writer based in St. Petersburg, calls Menshikov “an 18th century oligarch.” She was surprised to learn that he was illiterate. While working on a documentary on him she found a document that he had signed. “He managed to make a mistake in his own signature,” Kalashnikova said. Menshikov’s house was often called the Ambassador’s Palace by foreign diplomats because the majority of ceremonial receptions took place there, including the marriage of Peter the Great and Catherine I in 1712. The Yusupov Palace was built in the 1760s by French architect Jean-Baptiste Vallin de la Mothe. The mystical peasant Grigory Rasputin, who had a great influence on Tsar Nicholas II because of his healing powers that helped his haemophiliac son Alexei, was killed here on December 17, 1916. Count Felix Yusupov invited Rasputin to the palace, gave him dessert laced with cyanide and facilitated his assassination. A reservation is required to see the private rooms and special Rasputin exhibition. The Sheremetyev Palaceunites both music and poetry in its two museums with its 3,000 instruments and Anna Akhmatova and Joseph Brodsky’s personal artifacts. It was built in the baroque style for the nobleman Pyotr Sheremetev, in 1750-55. The main palace building now houses the Museum of Theatre and Music where Tchaikovsky’s piano, a Stradivari violin and Tsar Nicholas II’s cello are on view. You can attend classical music concerts here for 100 to 200 rubles (less than $3). The poet Anna Akhmatova lived in the southern wing of the palace from the mid-1920s until 1952. You can enter her flat-museum from Liteiny prospekt 53. Joseph Brodsky’s “American office” also opened in 2005, although he never lived here. The Stroganov Palace is one of Nevsky prospekt’s oldest buildings, built in the baroque style between 1752 and 1754 for Count Sergei Stroganov. 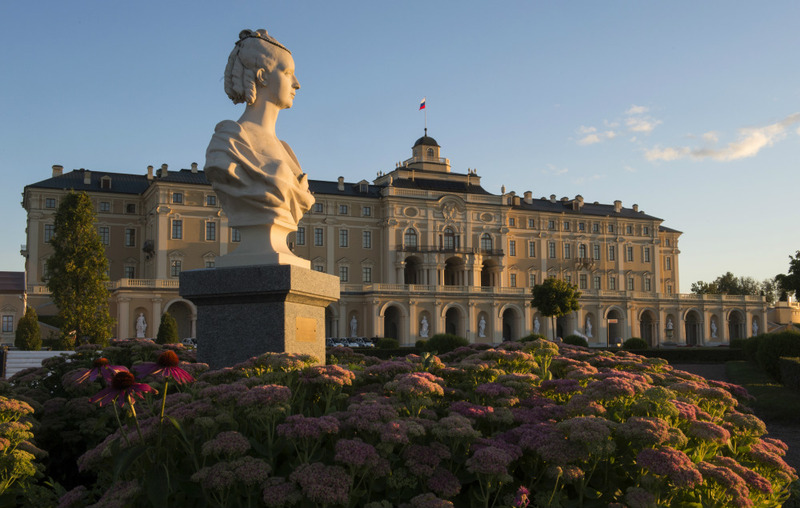 The exterior has largely remained the same since then, as has the original design of Italian architect Francesco Bartolomeo Rastrelli, who also built the famous Winter Palace and the Catherine Palace in Tsarskoe Selo (featured in Disney’s cartoon Anastasia). Foodies should check out the Russky Ampir restaurant to try traditional beef Stroganoff, deer Stroganoff or pike perch in the Stroganoff style. The Pavlovsk Palace was the summer residence of Catherine the Great’s son Paul I and his wife Maria Fedorovna. The Nazis looted the palace during World War II and made it the local Gestapo headquarters. They set it on fire when they left. The best way to get to the palace in winter is by a horse-drawn carriage or a sleigh ride, which can be requested for on the museum's website. Check out Yury Molodkovets’ photo project about the Pavlovsk. Molodkovets especially loves Maria Fedorovna’s library, which at one time contained 21,000 items. “During World War II it was taken by the Nazis and was later was discovered in Austria in 1945 and given back to the USSR,” he told RIR. The Konstantinovsky Palace in Strelna was the summer residence of Grand Duke Konstantin, Catherine the Great’s grandson. This palace played host to the G8 summit in 2006 and the G20 in 2013, so be sure to take a selfie in the halls where Angela Merkel, Barack Obama and Vladimir Putin discussed global affairs. The tour, which you should book in advance, will show you the billiards table where Vladimir Putin and former Italian Prime Minister Silvio Berlusconi played pool.